Prestigious island address. 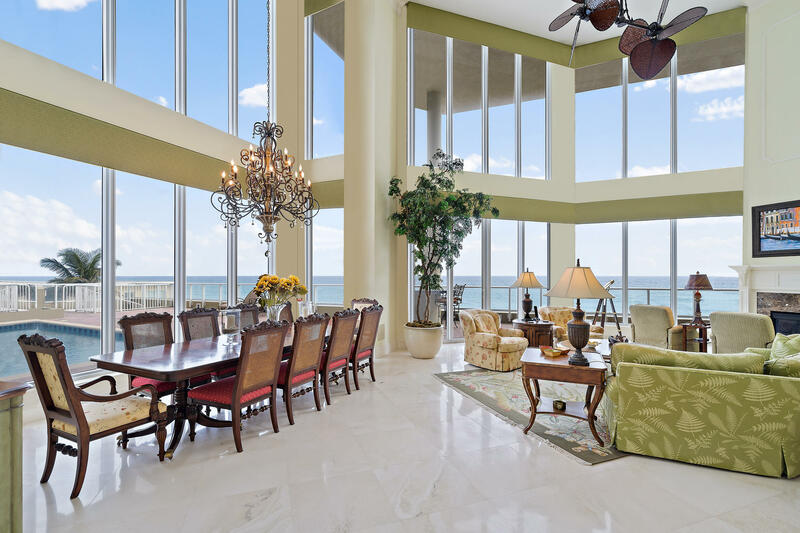 Stunning ocean & Intracoastal views. Incomparable lifestyle. 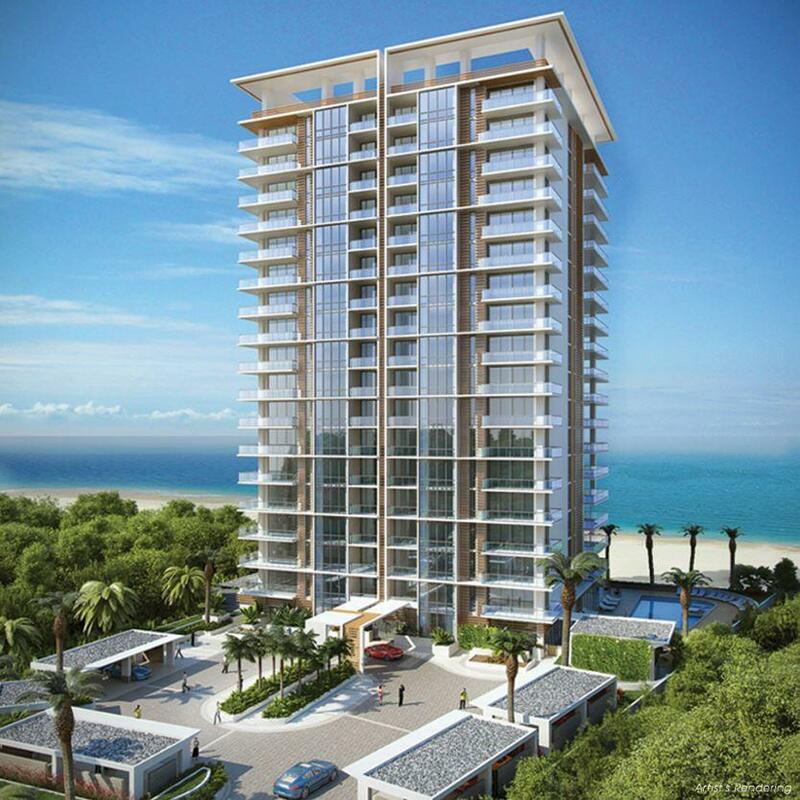 With the scarcity of Florida coastline, we proudly introduce a new oceanfront residence tower featuring over 340 ft. of direct beachfront on 4 1/2 acres of natural habitat and sandy dunes. Discover 5000 North Ocean's unprecedented coastal lifestyle rising 19-stories above the ocean in Singer Island's coveted north residential corridor just minutes from everything PGA Boulevard has to offer. At 5000 North Ocean you'll awaken to awe-inspiring sun rises over the horizon and the soothing sounds of waves rolling onto pristine sands. 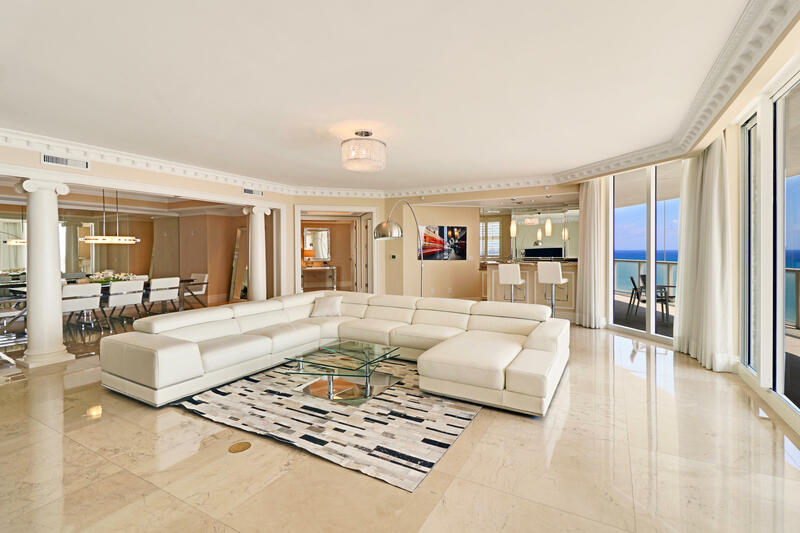 This is truly one of the finest oceanfront condominiums in Palm Beach County. 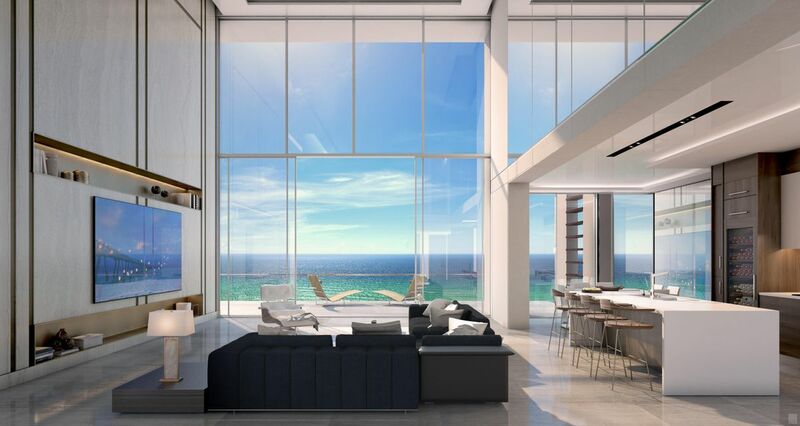 Upon entry, you will be captivated by The Grand Salon and Formal Dining Room with 23' floor-to-ceiling walls of impact glass directly on the ocean and overlooking the private pool, BBQ area, and beach access - all which are shared by no other unit in the building. Just around the corner, the professional kitchen has top-of-the-line Wolf, Sub-Zero and Miele appliances, and a breakfast area that provides breathtaking ocean views. The den with custom built-ins offer the perfect sanctuary for quiet study or relaxation, and the home theatre is customized with a Sony high definition projector, 100'' screen, 8 speakers, and 8 motorized chairs. This two-story Seaglass offers breathtaking oceanfront views through soaring walls of glass that rise nearly 20 ft. in height. This exquisite 12th floor multi-level residence features 4,897 sq. ft. of luxury living area unlike anything you've seen before. Step off the access-controlled elevator into your private residential lobby. This great room floor plan offers 4 spacious bedrooms, family room, and 4.5 baths, soaring 9'10" ceilings with full height sliding glass doors and windows. 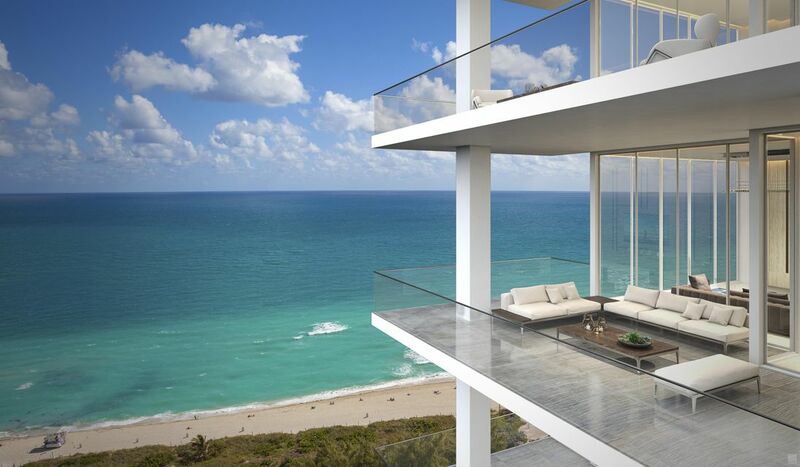 Multiple oversized terraces with glass panel rails, add a welcoming outdoor living area with unobstructed water views. The designer kitchen features European style cabinetry available in a choice of finishes, the latest storage systems & integrated LED lighting. 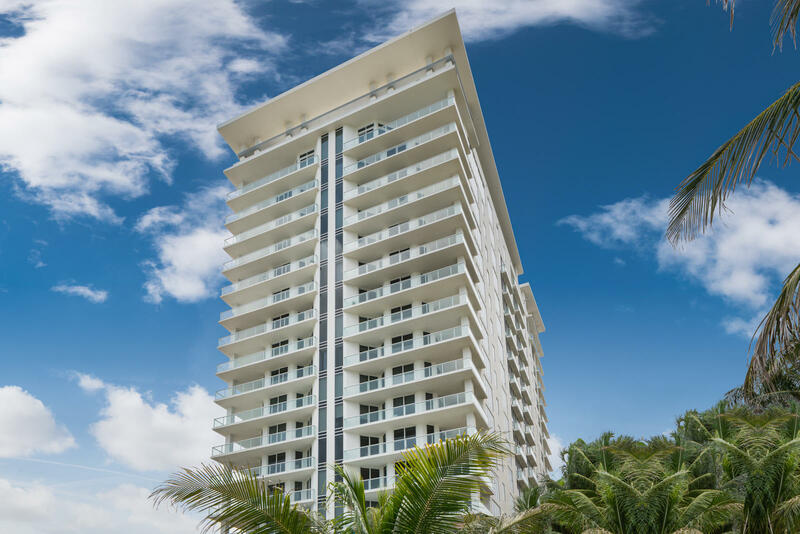 Only direct oceanfront non-developer unit available in the highly sought after building on Singer Island, VistaBlue. Boutique building with 58 residences and 19 stories, this residence has it all. Fully furnished with every bell and whistle, nothing has been left out of this unit! It even comes with private 2 car enclosed garage. Almost 3300 in the interior living space with 10-foot ceilings, balcony overlooking the ocean on the 9th floor. Custom, high-end closets throughout, custom wall treatments, Lutron shades, Swarovski chandeliers, Sonos speakers throughout and high-tech TVs. This is living at its finest. The 3rd floor Residence Clun amenities are plenty with cabanas, spa/pool, wine bar, state-of-the-art fitness center with men's and women's locker rooms and sauna. 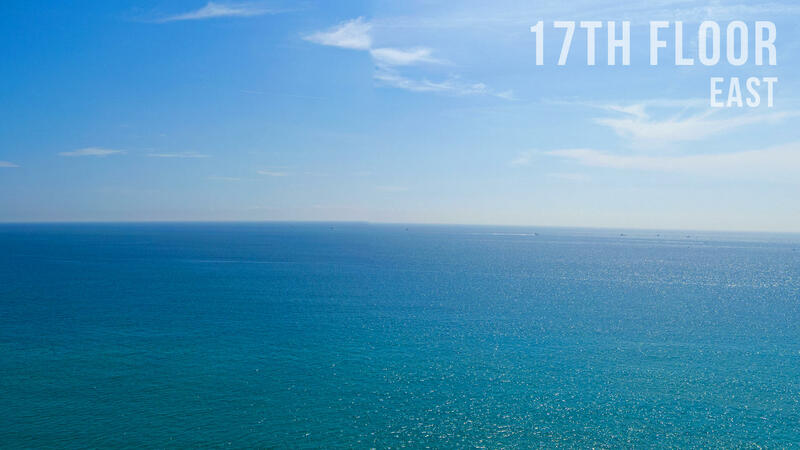 Incredible panoramic direct ocean and intracoastal views from most every room of this magnificent condo in the sky. Numerous upgrades including 36'' marble floors inside, 24'' marble floors on the balcony, Sub-Zero wine cooler, custom built-in desk in the office, and custom closets. 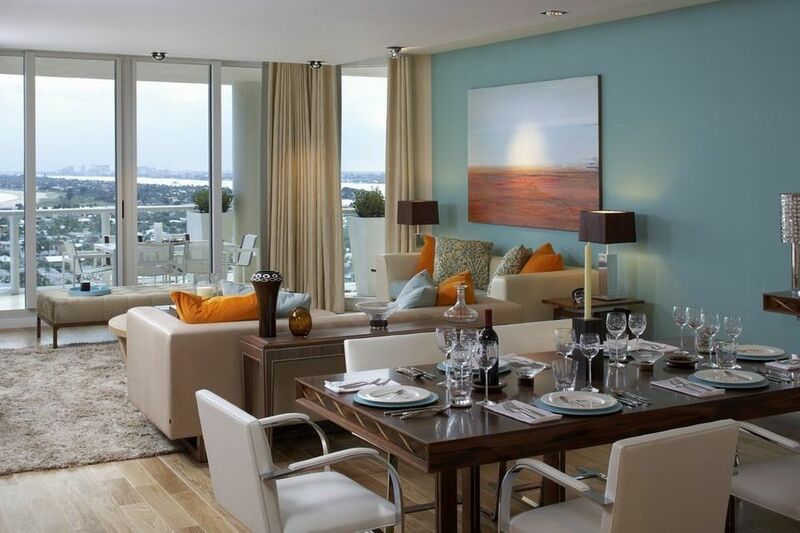 The ''03A'' residences are in high demand due to the premier views and larger size. The Ritz Carlton name speaks for itself. The building offers all the amenities and services one would expect from a world class facility: valet, concierge, fitness center, business center / board room, library, game room, private elevators, two pools and a restaurant.